I look outside the window and the rain is falling, the sky is grey, the trees skeletons of their former glory etched upon the skyline. It makes me shiver despite being in my nice warm home. I am not inspired to brave the cold, wet, damp, grey weather, but somehow I must, not before pulling the duvet over my head for another half an hour! I remind myself to embrace what is now and to feel gratitude for the flow of nature. In Traditional Chinese Medicine TCM, the element associated with Autumn is Metal. The emotion is grief and sadness, saying farewell to the abundance of summer and preparing for the slowing down of our energy. Metal is about letting go of the past and making space for the new. The organs connected to the Metal element are the lungs and small intestine, reflecting the natural laws of nature - letting go and receiving. At this time of year many people get colds, sniffles, even flu like symptoms. Believe it or not this is actually a healthy reaction by your body. It is doing what it should, it has the energy to create an acute illness. In naturopathic medicine, we view the body as an infinite intelligent organism working in harmony with nature. These acute illnesses provide a perfect opportunity for the body to detox from the heat of the summer months. How many of us try to carry on with the full power energy of summer, busy and stressed? Before we know it we are getting sick and need to go to bed. Taking the rest we need in order to adapt and adjust to a new season provides an opportunity to embrace the metal element wisdom of Chinese Medicine. Knowing how to manage your illness will help your body to move through it with grace and ease. Winter and Autumn calls us to surrender to what is and being bed ridden is an undisputed surrender to stop in this day of go, go, go. Accept your illness, embrace the idea of going back to bed, sleeping, resting, watching films. You may want to try the healing benefits of essential oils, herbs to support the immune system, acupuncture, steam baths etc. There are an array of self healing techniques you can do which are natural and support the body's natural ability to heal itself. Try to avoid suppressing your illness with painkillers and coffee. If you can't allow the body to be ill and you suppress the symptoms, this can cause an even more intense acute illness later in the season. Reduce your food intake, especially mucus causing foods such as dairy, gluten and processed food. Make chicken soups from the chicken bones, known as Jewish Penicillin! Or Potassium Broths if you are vegetarian. These provide the body with essential vitamins and minerals to support and hydrate your cells, without putting lots of strain on the digestive system. I love to add a little bit of Cayenne pepper, or Cayenne pepper shots - not for the faint hearted - viruses do not survive in a hot environment, that is why the body will create a fever, to kill of the pathogens. Interestingly a fever will also kill off other pathogenic activity in the body such as cancer cells. My favourite tonic is a fresh ginger and lemon tea with raw honey, cinnamon and reishi mushroom. You can find the recipe for this at the end of this article. The emotion of water is fear and the organs are the kidneys and urinary tract. In Winter the earth lies fallow, nature appears frozen and dead. Within this stillness we are called upon to go inside, connect to our inner selves, practise a form of hibernation, look into the deepest depths of who we are. Just as the seeds, covered by leaf mulch, are beginning their metamorphosis, the stillness of Winter calls us to consider our metamorphosis. What seeds of ideas are we cultivating in the stillness? How are we evolving during these times of transition? This year a remarkable thing happened to me transitioning from Summer to Autumn. I was actually looking forward to Autumn, no I didn't have frontal lobotomy! I was looking forward to putting on a coat, getting snuggly in front of fires, watching the changing colour of the leaves. I am usually kicking and screaming inside as the clocks go back and we leave summer behind. Traditionally the months leading up to Winter Solstice are characterised by depression, inertia, sleeping problems and a feeling of dragging myself through mud. How many of you can relate to that? This year however has been completely different! I reflected on these things, I tried to find all the things I'd done differently from last year and I came up with two things that could be making a difference to my life. One - I installed a broad spectrum light bulb in my kitchen, I spend the most time in there! You can also consider installing a SAD lamp. Two we have just had the most incredible summer followed by an amazing trip to Bali, I was sun satiated and fully tanked up with Vitamin D.
Vitamin D is becoming more widely understood in mainstream medicine. However despite this many people still have exceedingly low levels. In fact people who live in the North of the Northern Hemisphere and those with dark skin living in these climates often have dangerously low levels of Vitamin D.
What do we know about Vitamin D? We know it's good for the immune system, we know it helps our bones, what else do we know? Not a lot. Research suggests that Vitamin D helps in reducing certain cancers, maintaining a healthy immune system, brain and heart health. It also interacts with over 3,000 genes and the body has VDR - vitamin D receptors throughout its tissues, cells and organs. Western A Price, a dentist, who lived during the the early 20th Century studied dental health and tooth decay among small scale communities eating a natural diet. He discovered a vitamin which acted like a synergist, he called this Factor X. This factor X was later re-named Vitamin K2. Research has shown how the synergistic nature of K2 works with Vitamin D3 to keep calcium in the right place. This relatively new information has not yet found its way into mainstream medicine, but is very important nonetheless and not many people know about it. Dr Kate Rhueaume-Bleue, author of “Vitamin K2 and the Calcium Paradox” states that "When you take Vitamin D, your body creates more of these vitamin K2 dependent proteins. The proteins that will move the calcium around have a lot of potential health benefits. But until the K2 comes to activate those proteins, those benefits aren't realised. So if you take Vitamin D3, you're creating an increased demand for K2. K2 and D3 work together to keep calcium in the right place, strengthening your bones and improving your heart health." This means that taking Vitamin D3 increases your need for K2 and without it can cause calcium to build up in the wrong places in the body, such as soft tissues and arteries, this is called calcification and we need calcium to be in the bones and teeth. Farmed Salmon - 100 - 250 IU, Pasture raised Egg Yolks - 100 IU. They recommend optimal levels should be around 80 - 100nmol/L. Are you at a higher risk of deficiency? If you work indoors, get very little sunlight, use sun block during the summer, don't eat foods containing Vitamin A, D and K2 and eat a vegan diet, it is likely you are vitamin D deficient. The liver is supposed to be able to store enough vitamin D to get us through most of the winter which is why many of us get that January and February feeling of needing sunshine. However some people genetically can't store Vitamin D. These people need to supplement. Getting ill often, fatigue, pain in your bones, seasonal depression, gut issues, wounds that don't heal, unexplained low level health and depletion, hair loss, bones that break easily etc. This list isn't exhaustive and of course many of these symptoms could be attributed to other deficiencies. If you think you may be deficient a test is available on the NHS. My personal favourite supplement company is Cytoplan, they do a combined Vitamin D3 and K2 and are food state vitamins, which means the body can absorb them easily. So now we have tested our Vitamin D levels, we have a good supplement and or we've booked that dream holiday to the Seychelles. What else can we do to keep us going through these long winter months. How often do we turn off our phones, screens and make ourselves unavailable even for an hour without somebody wanting us? to reflect and restore my inner world. Feeling gratitude for my lovely warm house, feeling blessed to have this moment. This is a great tasting addition to your cleansing program. It will flush your system of toxins, poisons and unwanted salts and acids while giving you a concentrated amount of vitamins and minerals. If you are sick drink only the broth and put vegetables in your compost pile. Make enough for 2 days and refrigerate for the second day. It is good to use organic vegetables, herbs and spices whenever possible. We want to avoid toxic chemicals especially insecticides and fertilisers as they interfere with the healing abilities of the vegetables. One shot glass with warm filtered water, an 1/8 to a 1/2 teaspoon of cayenne pepper, mix well and down in one. I use an 1/8 tspn. It burns the throat a little, go easy at first as it could burn the stomach, I like to take a spoon of yoghurt either before and or afterwards to stop the burning sensation. If you have a cold or flu Cayenne heats up the body, it simulates a small fever. It may cause a fever - just exercise caution when using strong herbs. It can also loosen the mucus membranes. Boil water, grate or finely chop ginger and turmeric, and add everything to a large mug, keep topping up during the day. Aim for 3 - 4 cups per day, during illness. Lula is passionate about living life to her fullest potential, understanding the healing power of nature's gifts. Plants, clean water, clean air, sunshine and a daily practise. She loves to create amazing simple tasty food that looks good too, stimulating all the senses! Lula trained as a nutritionist in 2013. She specialises in, empowering people to make life changing decisions about their health and wellbeing. She has been following a clean live food diet for over 15 years. She has two daughters who have been raised on a healthy real food all their lives. 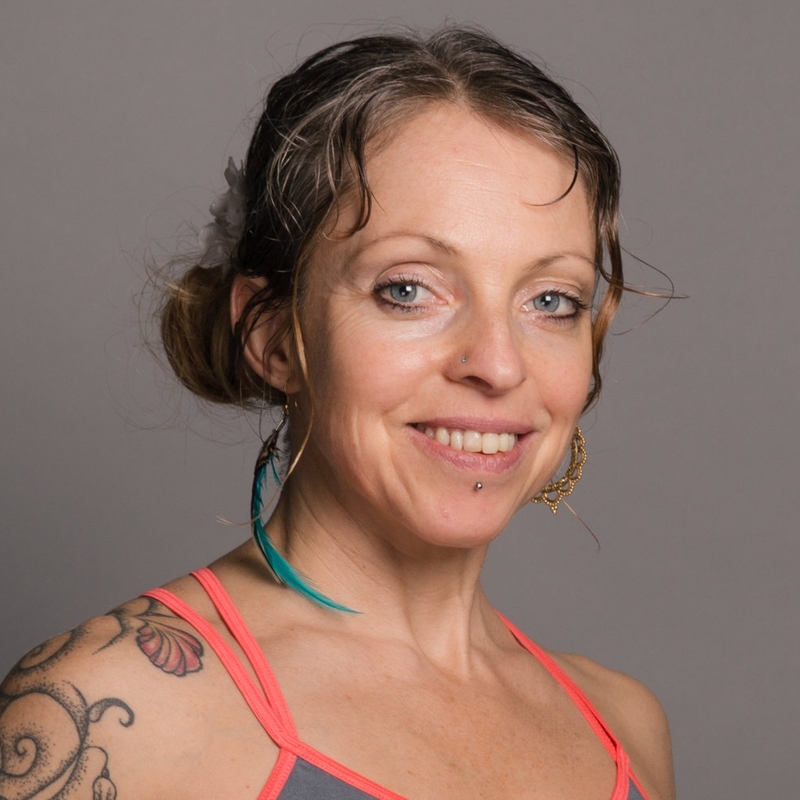 She cooks for yoga retreats offering gluten free, refined sugar free, vegan and vegetarian food. Designing menus with gut health, digestion and simplicity in mind.